This Sanctuary lakefront Tudor manor estate offers a spacious 10,000+ square feet of luxury lakeside living on 4+ acres with spectacular lake views from every room! Home offers a superb layout with excellent craftsmanship, heavy crown moldings, mill & woodwork throughout. Stunning stone domed foyer, spacious den/office with fireplace and 2 story great room! Gourmet chef's kitchen with two large islands and butler’s pantry. Large screened porch offers built-in grill with kitchenette! Main level master with dual walk-in closets,master bath with double sided fireplace, walk-in shower, and heated floors! Large upper level bonus room. Lower level offers a spacious guest ensuite, Billiards/ entertainment room with full kitchen and bar! Theatre room, elevator, wine cellar, sauna & gym! Home features a beautiful salt water pool with waterfall, and outdoor fireplace with sitting area! Convenient to airport & shops! 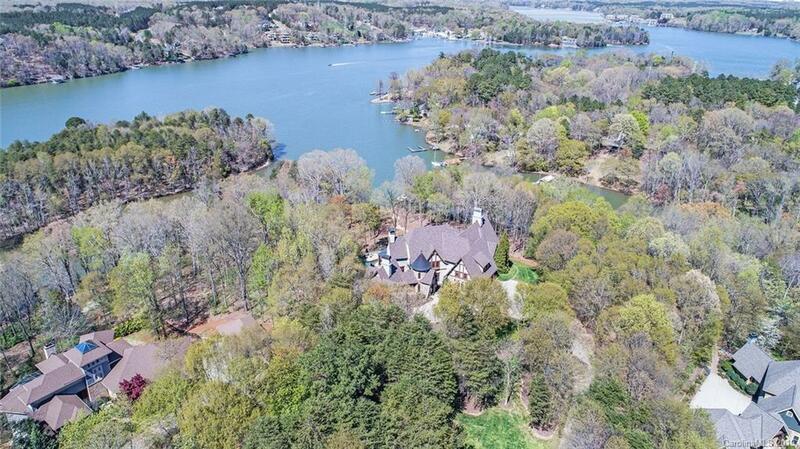 An entertainers delight in an exclusive wooded lakeside oasis on lake Wylie!